William Frederick has been his [7h][7d] ran into the [Kh][Kc] of Vinh Dang. The board ran out [Qd][Jh][3s][9h][2c], and William will head to the payout desk to collect his $3,556 for his 5th place finish. Beata Wielgoszewski was all in preflop and was called by Vinh Dang. Beata flipped her [2h][2d] and starting putting on her coat and backpack before Vinh even tabled his hand. He finally flipped his [As][Qs], and the dealer dealt the [Ts][Kd][6h] flop. The [Ks] on the turn gave Vinh an amazing 21 outs, but the [8h] river meant Beat would double up. On a [9h][8c][2h] flop, Vinh Dang was all in with [As][Ad] and was in good shape to double up against William Smith's [Ts][Td]. William was on his feet as the [2s] hit the turn, and when the [8h] river, he could only say, "Good hand." 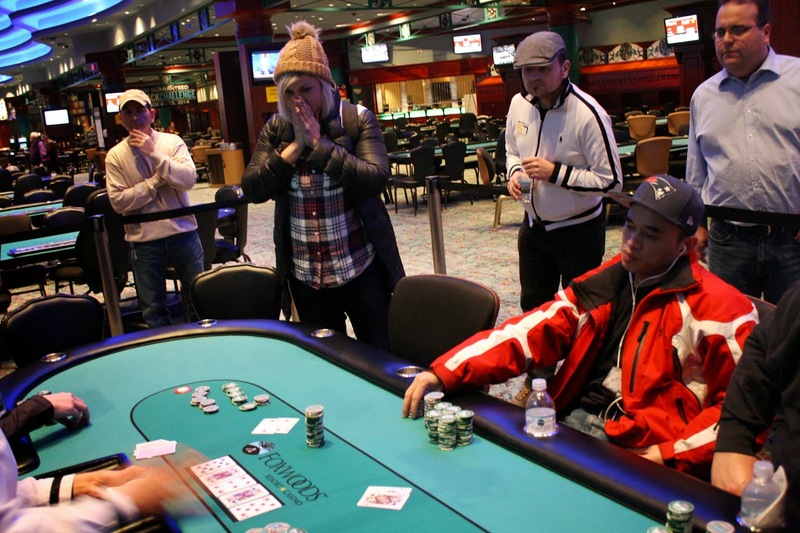 Vinh will double up to over 2.6 million, leaving William crippled. William got the last of his chips in the very next hand with [Ad][9h] against his opponent's [Qd][Qc]. The board ran out [2c][8c][Kh][Qs][8h], eliminating William in 6th place, good for $2,845. Patrick Tiernan has been eliminated when he ran his [Js][Ts] into Jonathan Rodgers's [Ah][Ad]. The board ran out [4h][Qc][5d][6d][2c], and Patrick will exit this tournament in 7th place, good for $2,311. Jonathan Rodgers was all in with [Qc][8c] and was up against the [5s][5c] of Patrick Tiernan. 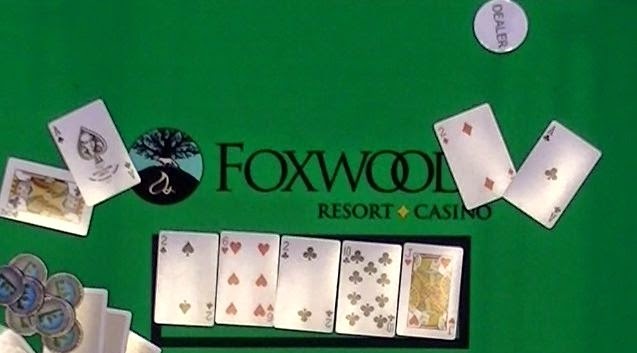 The [Jh][4h][4c] flop changed nothing, but the [2c] turn gave Jonathan a flush draw to go along with his two overs. The [8s] hit the river, giving Jonathan a winning pair of eights, and he will double up to over 800,000. Rich would need a queen to survive, and he did not find one on the [Td][7d][9h] flop. 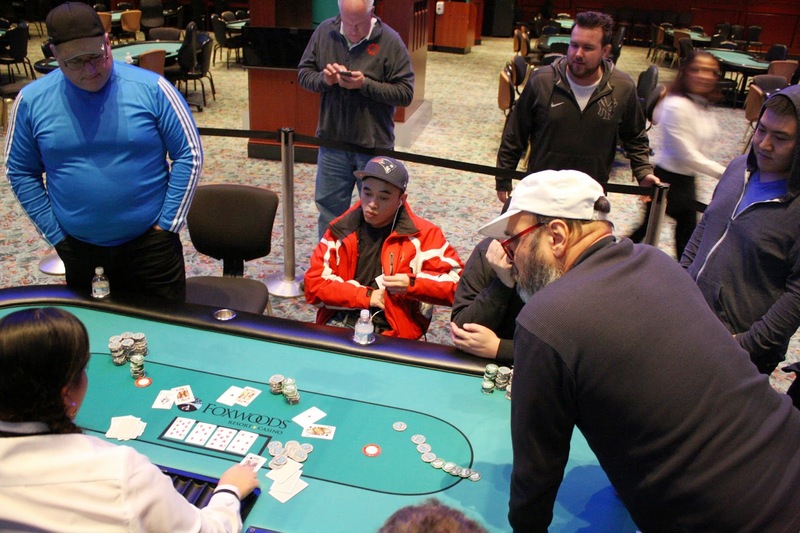 The [6d] turn gave Patrick a flush draw, but the [Ks] river meant Vinh and Patrick would chop the pot, eliminating Rich in the process. Rich will earn $1,897 for his 8th place finish today. 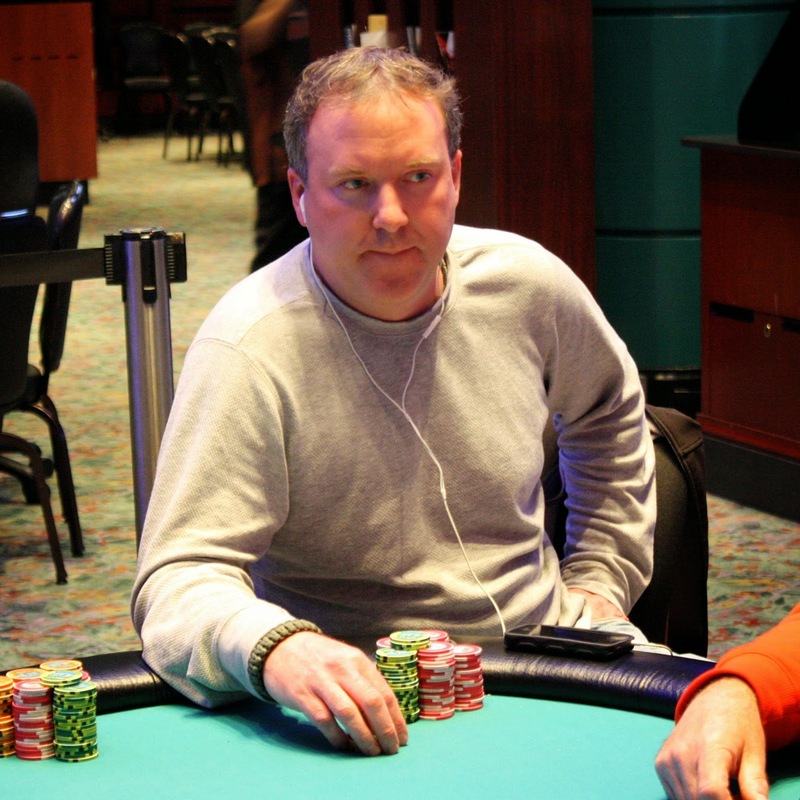 Kurt Fitzgerald moved all in from the cutoff and action folded to William Frederick in the big blind, who snap called. It was a race as William held [Ah][Kh] against Kurt's [7h][7d]. 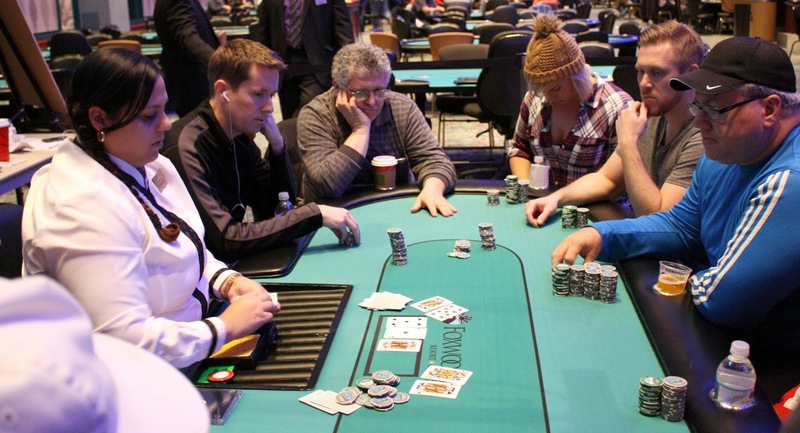 The flop favored William as it fell [Ks][9h][Kd], and Kurt failed to find a seven on the [8c] turn or [5s] river. William will double up, and Kurt was crippled to just a few chips. He got the rest of his chips in with [7h][4c] against his opponent's [Ad][Jc] and failed to improve. Kurt will earn $1,487 for his 9th place finish today. Two more $200 Mega Super Satellites tomorrow! Antonio Bueti was all in preflop holding [Qd][Jc] and was up against the [Kc][9h] of Jonathan Rodgers. When the board ran out [5s][Ac][Kd][2c][8d], Antonio was forced out in 10th place. He will earn $1,037 for his efforts. We are now down to the final 10 players in Event #9 $300 Big Stack. The players are taking a brief break and play will resume shortly. 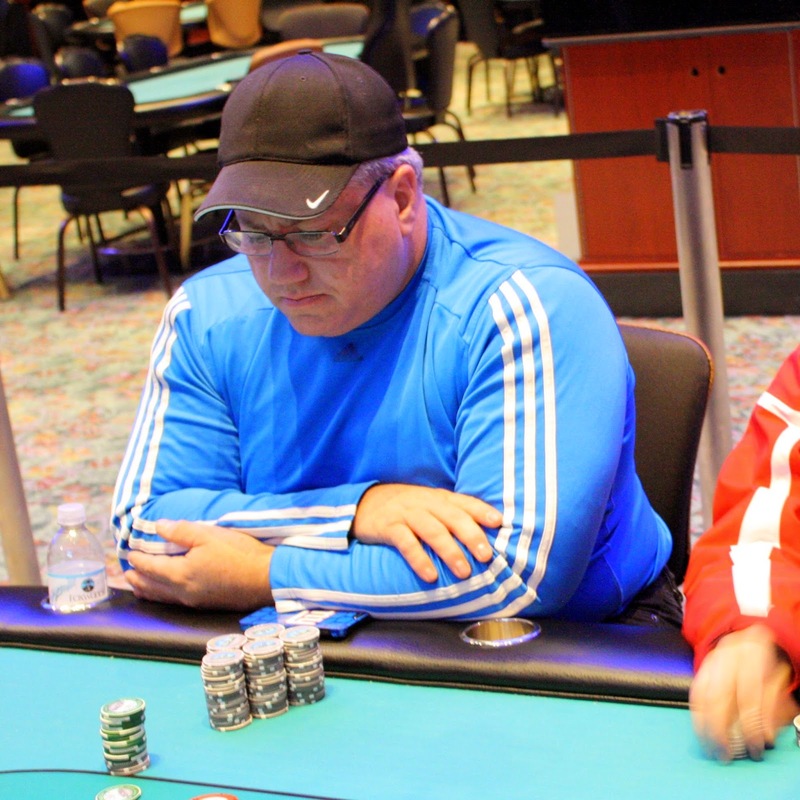 With 12 players remaining, Rich Meli was all in and in bad shape with [Ac][2d] against [As][Kc]. Rich begged the dealer, "Give me a deuce... or two of 'em!" The dealer obliged as she spread the [2s][6h][2c] flop, and the [Tc] turn and [Jh] river means Rich will survive as the final table nears. 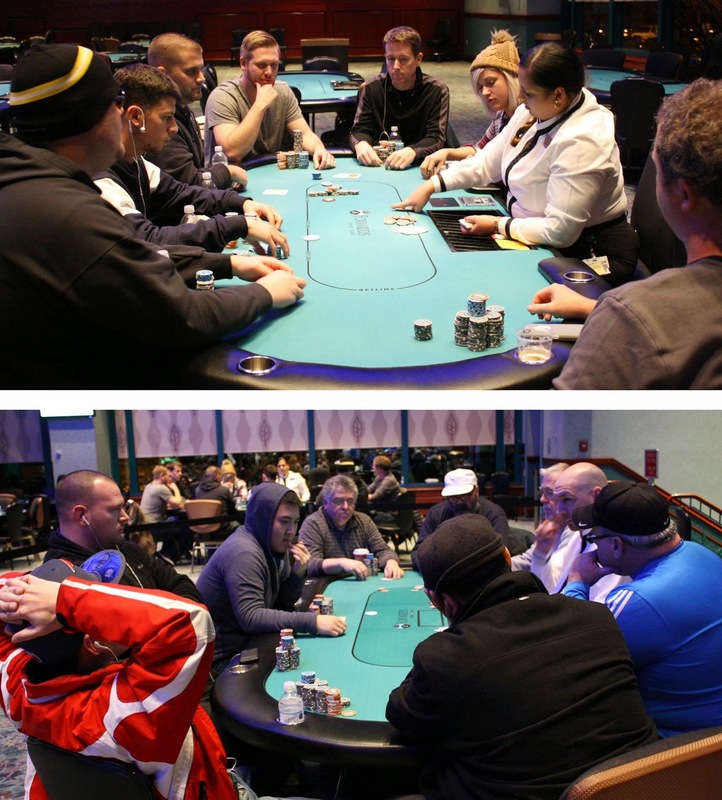 The final 15 players are now on break while the tournament staff color up and race off the 1,000 chips. All 15 players are guaranteed $918, with the next pay jump to four figures at 12 players remaining. The next blind level is 15,000/30,000 with a 5,000 ante, and levels from this point forward will be 30 minute levels. With the elimination of our 25th place finisher, all remaining players are now in the money. 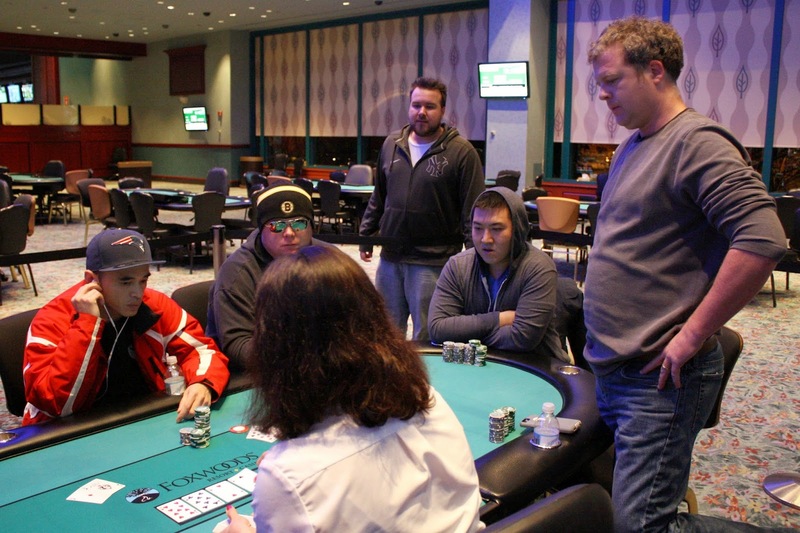 The final 24 players are guaranteed a $740 payout, but all eyes are on the $14,402 first place prize. Blinds are currently 8,000/16,000 with a 2,000 ante. 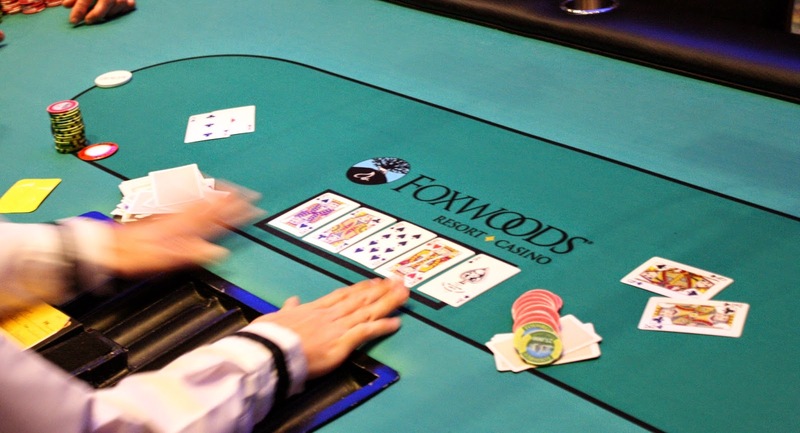 A player on the feature table with pocket tens cracked another player's pocket aces to bring the field down to 25 players. The clock has been paused, and the tournament is now hand for hand until one more drops. The remaining 24 players will be in the money. The 39 remaining players are now on their 45 minute dinner break. Play will resume at approximately 7:10pm EST, and blinds will be 5,000/10,000 with a 1,000 ante. 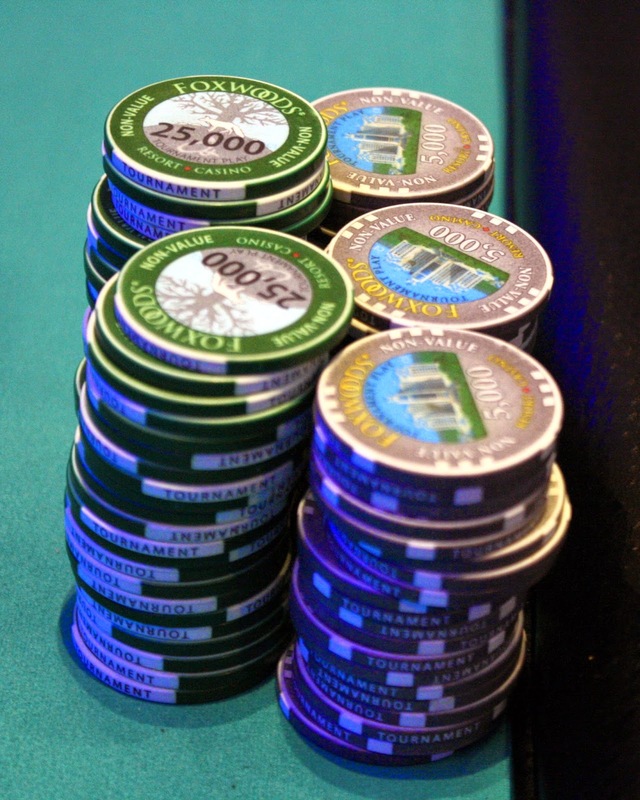 Players are now on break while the tournament staff colors up and races off the 100 chips. 93 players remain from the starting field of 235 entrants. When they return, blinds will be 1,500/3,000 with a 500 ante. Cards are in the air in Event #9 $300 NLH Big Stack. This tournament features 30,000 in starting chips and 20 minute levels for the first 25 minute levels, then 30 minutes. A full structure is available here. Registration will remain open through the end of the 9th level. After a grueling day of poker, it was a heads up cooler that would decide the winner. 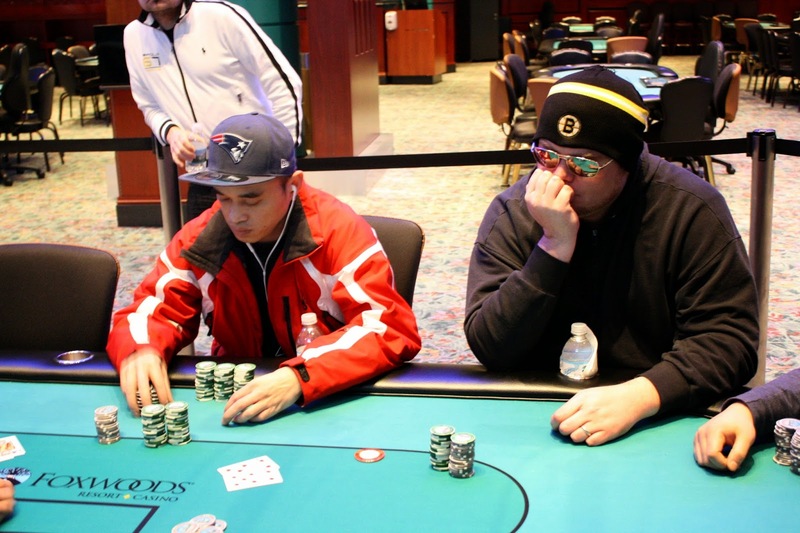 Don Yiucus was all in preflop holding [Ad][Qs] and was up against Mark Checkwicz's [As][Kc]. Don couldn't find a queen on the [Tc][2d][9h][9c][3s] board, and he will be eliminated in 2nd place, good for $20,000. 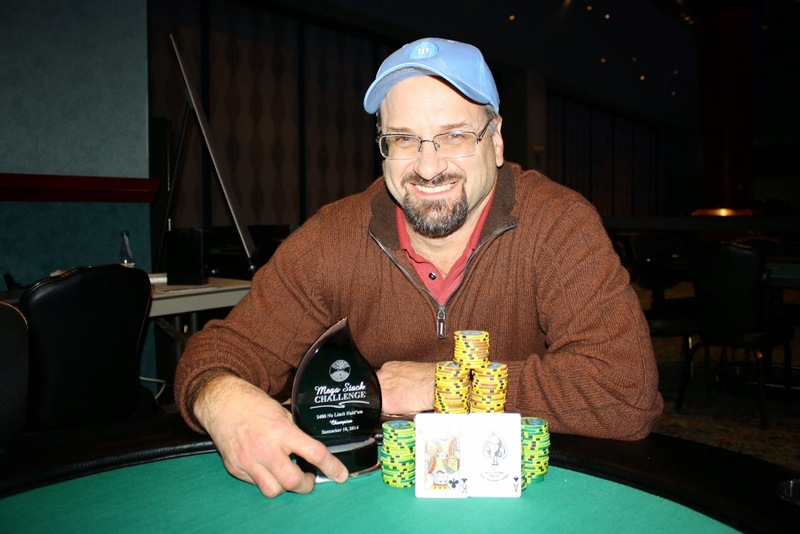 Mark Checkwicz has won Event #6 $400 NLH. He will win the trophy, the title, and the $25,986 first place prize. Congratulations, Mark! 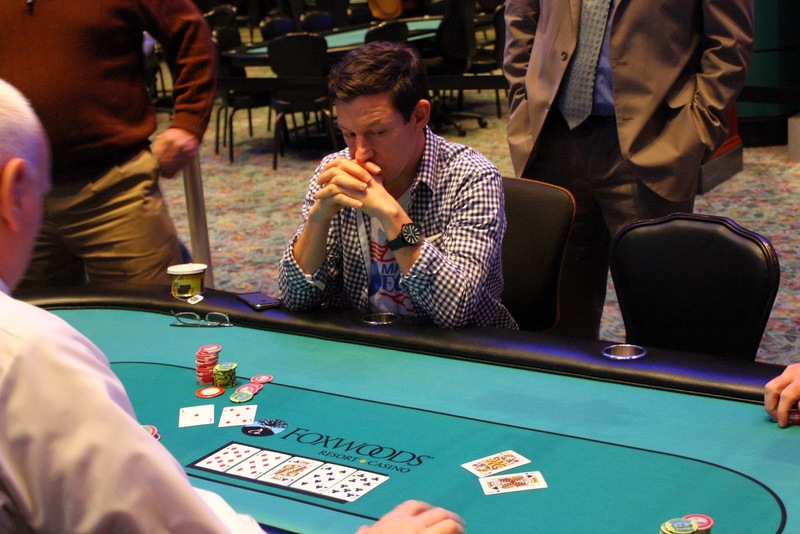 Kevin Dugin was all in preflop holding [Kc][Js] against Don Yuicus's [6s][6h]. It was a coin flip for Kevin's tournament life. 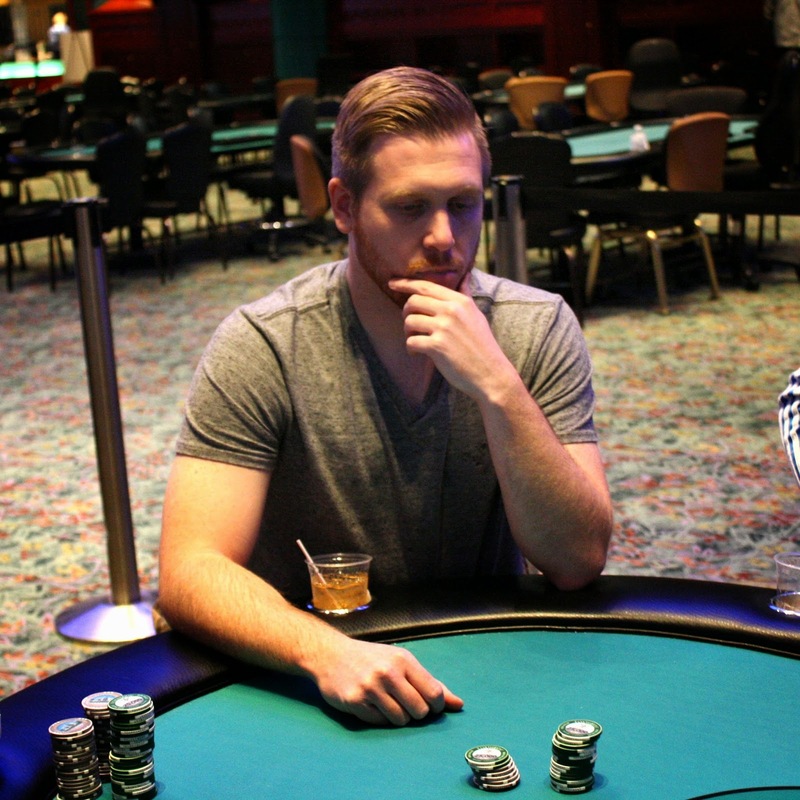 Kevin flopped a pair of kings, but Don flopped a set of sixes to put him way in front. The [Qs] on the turn meant Kevin was drawing dead. He will collect $15,000 for his 3rd place finish today. 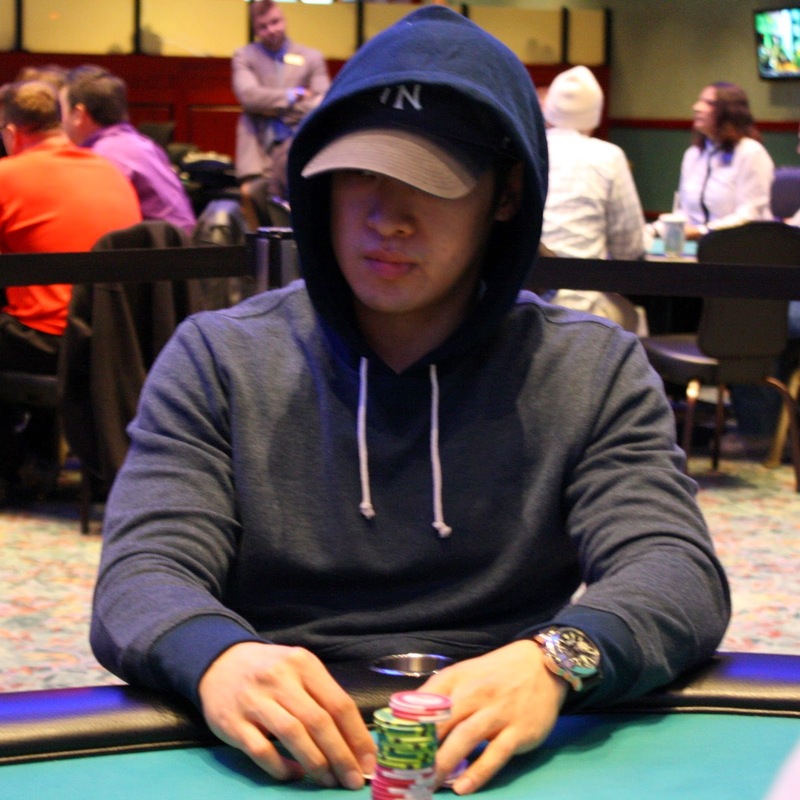 Sammy Wu has been eliminated when his ace trey was outflopped by Kevin Dugin's king queen. Kevin flopped two pair and filled up on the turn to leave Sammy drawing dead. Sammy will collect $9,648 for his 4th place finish here today. After countless allins that he survived, Tekomah Gobbins finally ran out of lives. This time he had the best hand in [Ad][5d] against Kevin Dugin's [Kh][Qd]. 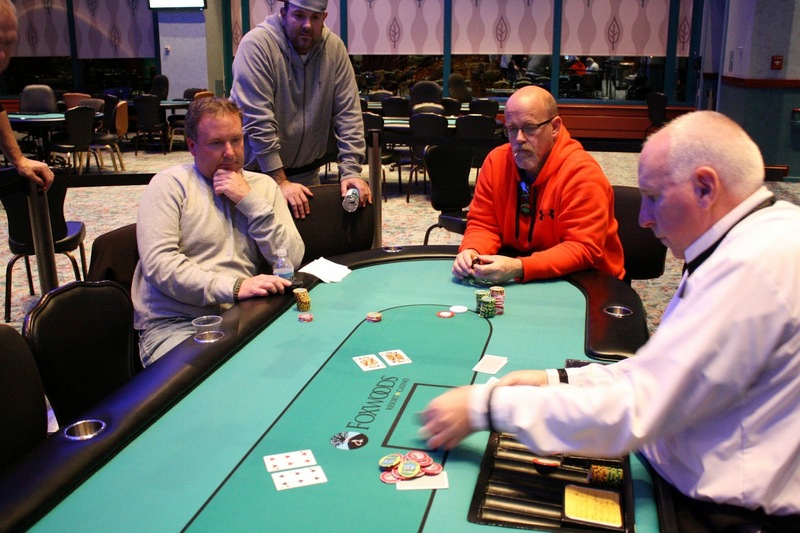 The [Td][8d][Kc] flop gave Kevin the best hand with a pair of kings, but Tekomah flopped a flush draw and had an ace as well. The [8s] turn changed nothing, and amazingly the [Tc] river didn't give the pot to the shorter stack. 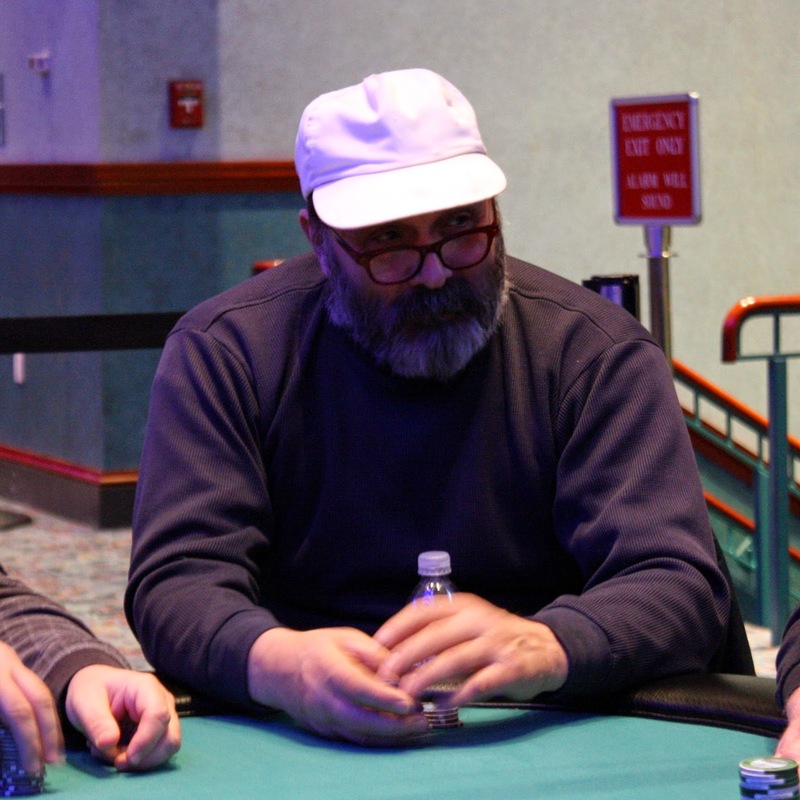 Tekomah has been eliminated in 5th place, and he will collect $7,200 for his efforts.